Hello there! It’s Maryanne from The Little Epicurean. 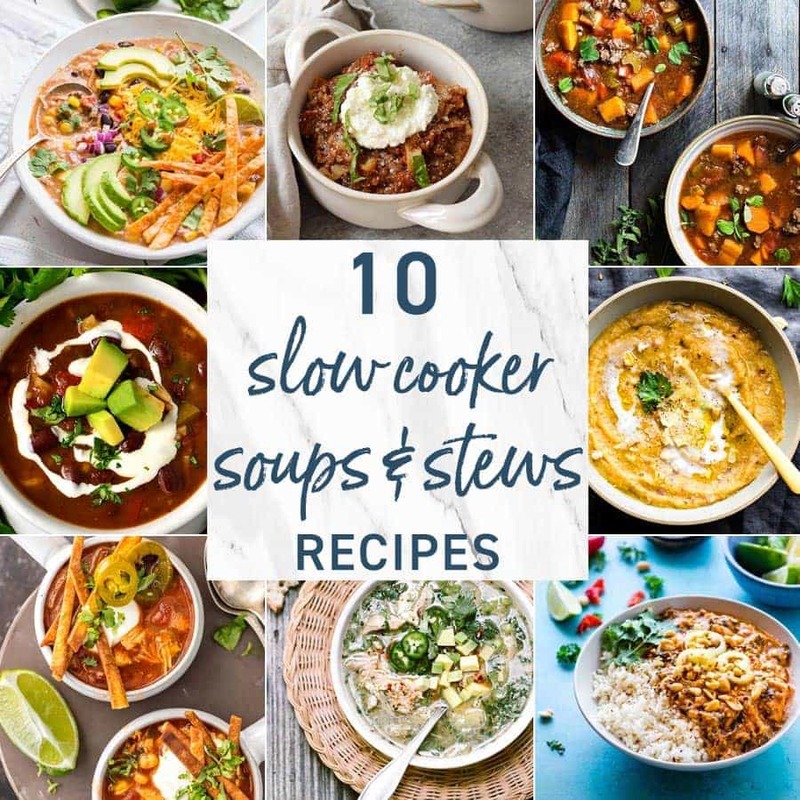 Today we’re exploring slow cooker soups and stews. 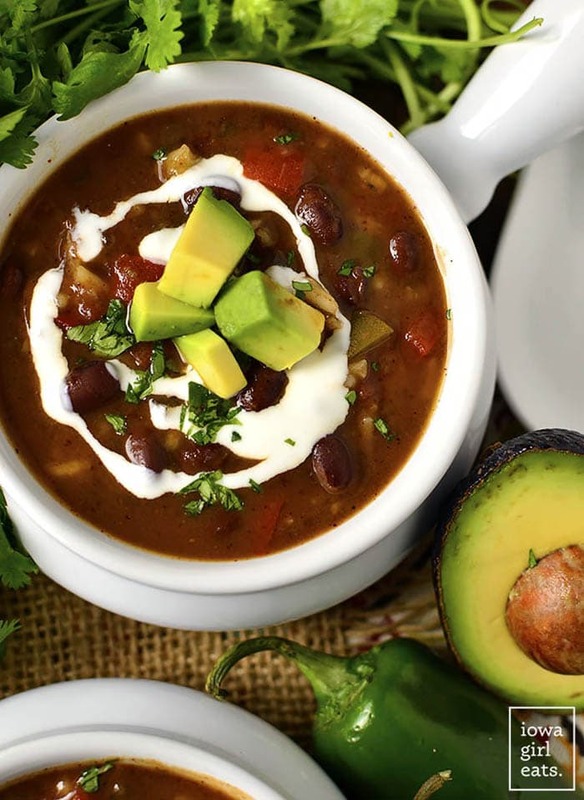 From classic favorites like chicken tortilla soup to exotic dishes like West African peanut stew and Moroccan chicken chickpea soup, we hope you’ll find something new to add to your weekly dinner rotation. If you’re hungry for more, be sure to check out this easy soups and stews roundup! Skinny Slow Cooker Chicken Tortilla Soup | The Cookie Rookie Eat healthy without sacrificing on flavor. 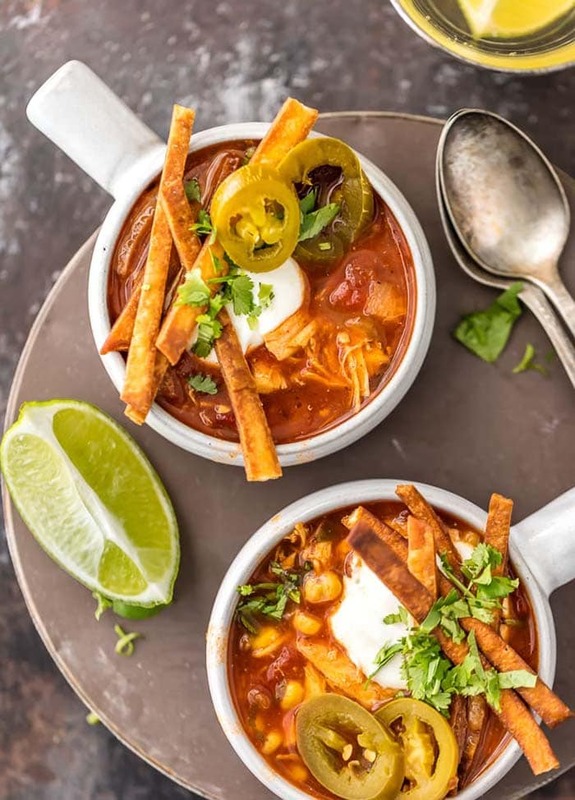 This skinny slow cooker chicken tortilla soup is a win-win for you! 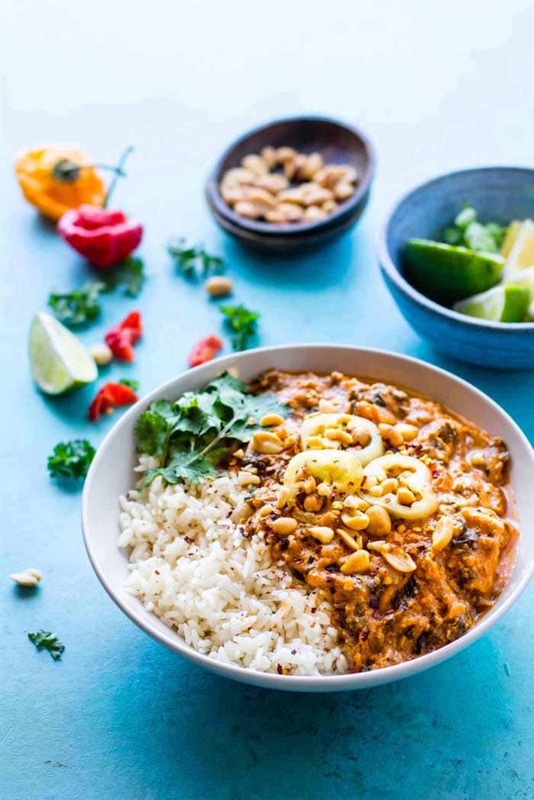 Crock Pot West African Peanut Stew | Cotter Crunch This dairy-free and gluten-free West African peanut stew is wholesome and flavorful! Make a large batch because this stew is great for freezing. 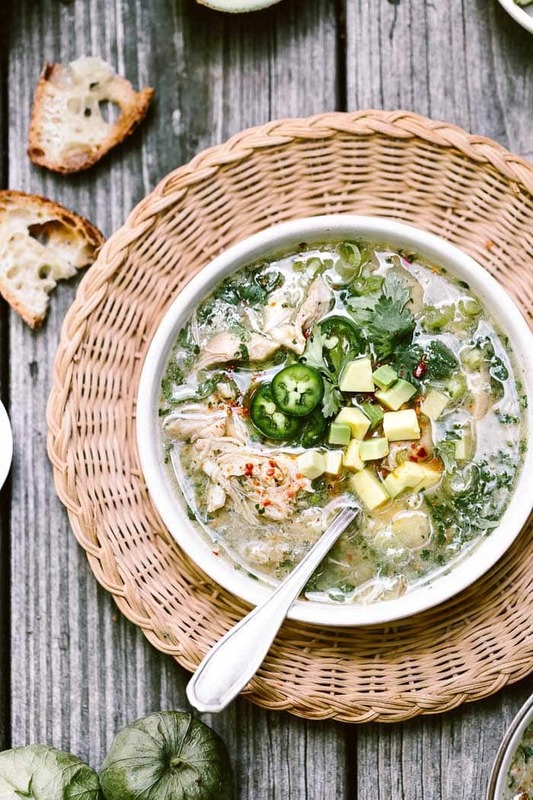 Crockpot Chicken Tomatillo Soup | Foolproof Living Fifteen minutes of prep is all you need for this chicken tomatillo soup. Set in the morning and return home in the evening to a warm, delicious soup. 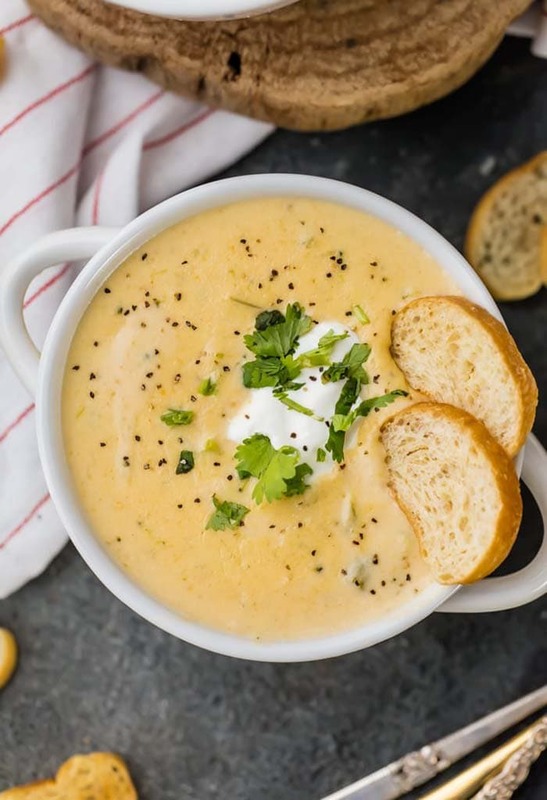 Crockpot Broccoli Cheese Soup | The Cookie Rookie This super cheesy broccoli soup is great all year long. It’s comfort in a bowl! 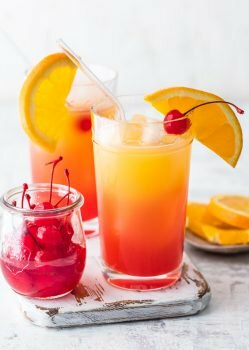 It’s the kind of recipe you’ll want to keep handy for game day, tv binge watching sessions, potlucks, and rainy days! 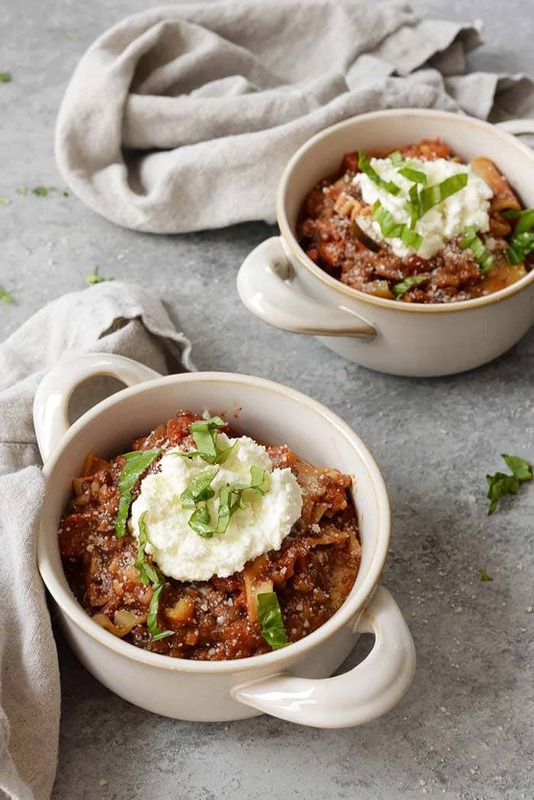 Slow Cooker Lentil Lasagna Soup | Delish Knowledge Have you tried lasagna soup? It’s a healthy way to enjoy your favorite pasta dish. This vegetarian recipe sues lentils in place of meat. And if you would like to make it vegan, simply sub in dairy-free ricotta! 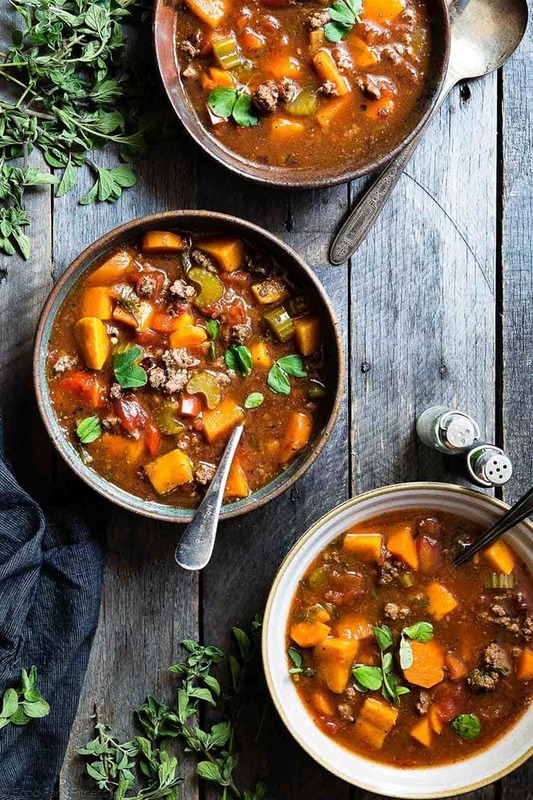 Paleo Hamburger Soup | Food Faith Fitness This hamburger soup is paleo, gluten-free, and whole30 friendly. It’s a hearty dinner the entire family can enjoy. Creamy Chicken Taco Soup | Saving Room for Dessert Protein packed and fiber rich, this cream chicken taco soup will keep your stomach full and satisfied. 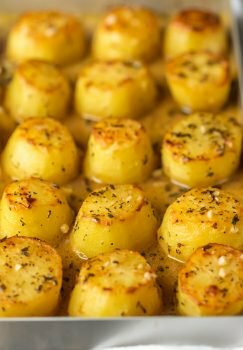 This recipes includes the slow cooker method, as well as directions on how to prepare it on the stovetop. 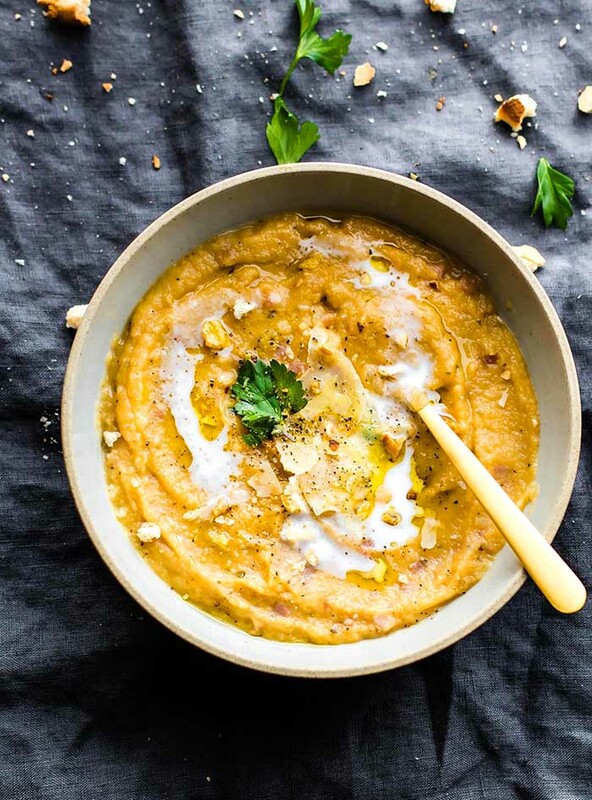 Crock Pot Parsnip Ham Chowder | Cotter Crunch Sweet potatoes, parsnip, onions, basil, and garlic come together in this paleo and whole30 friendly ham chowder. It’s a great way to use up any leftover ham. Slow Cooker Black Bean and Rice Soup | Iowa Girl Eats This recipe for black bean rice soup could not be any easier! Simply toss everything into a slow cooker, set it, and forget it! 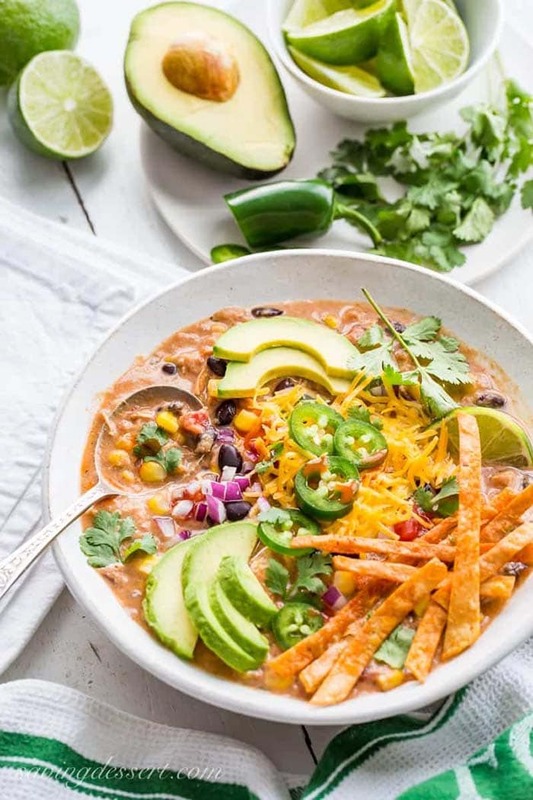 Serve the soup with a variety of toppings such as sour cream, shredded cheese, tortilla chips, and guacamole. 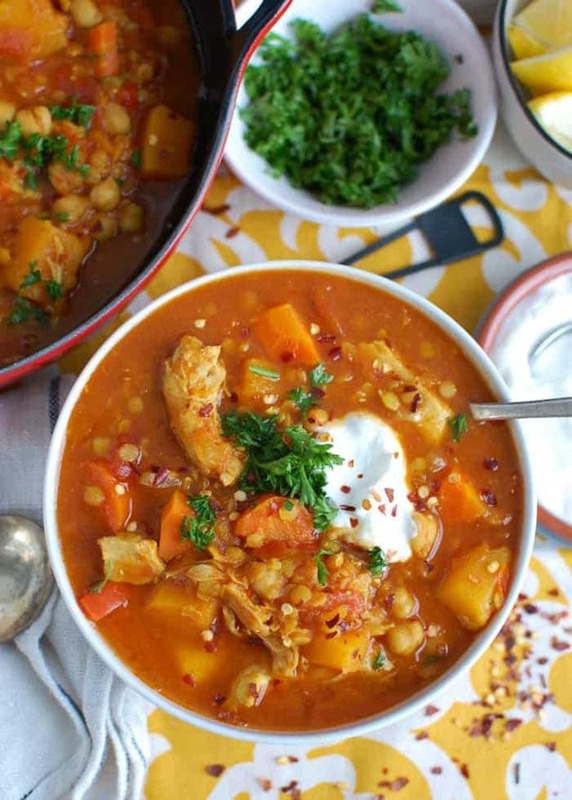 Slow Cooker Moroccan Chicken Chickpea Soup | A Cedar Spoon Warm rich spices (like cumin, paprika, and turmeric) come together beautifully in this slow cooker Moroccan chicken chickpea soup. It’s a healthy soup that’s packed with a ton of protein! 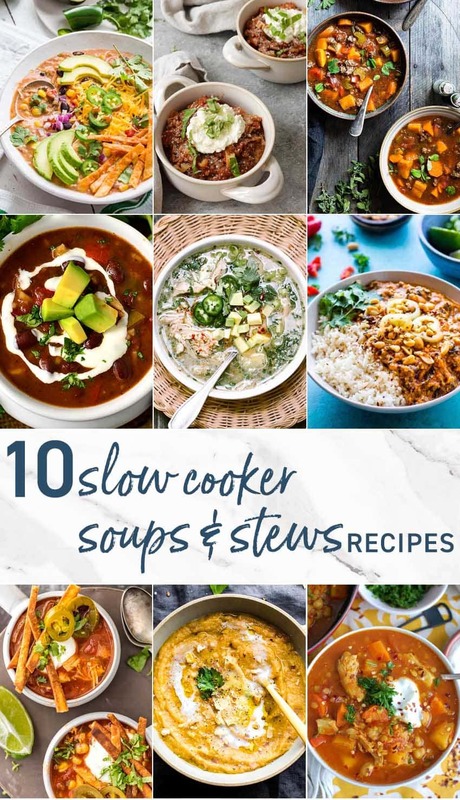 Thank you for those great slowcooker recipes! I have a new meaning since I bought my slow cook pot. Awesome! Hope you become a huge fan!